Kelly Jones, PharmD, BCPS is recognized as the 2016 South Carolina AHEC Educator of the Year. Dr. Jones is the Associate Professor of Family Medicine in the Department of Family Medicine at McLeod Regional Medical Center in Florence. 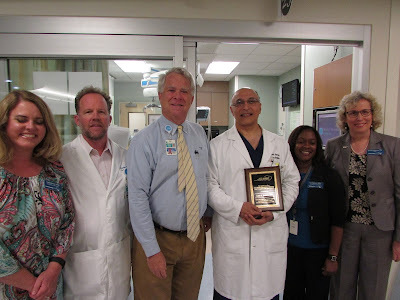 He was nominated by the Continuing Professional Development staff of Pee Dee AHEC in recognition for his outstanding contribution to the continuing professional development of healthcare providers across South Carolina and beyond. 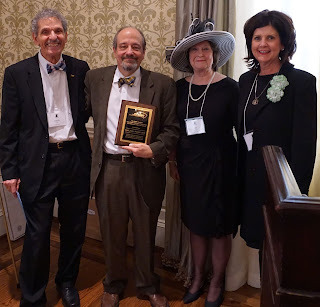 The South Carolina AHEC Outstanding Educator of the Year Award recognizes excellence in instructors of continuing education in the South Carolina AHEC system. The Outstanding Educator is selected based on their ability to present content in a practical, useful format that meets the needs and expectations of program participants while communicating the material enthusiastically. Educators must also successfully adapt presentations to address multiple learning styles. Dr. Jones has served the South Carolina AHEC in a myriad of ways for the past 25 years, including providing education for the region’s family medicine residents and medical, pharmacy, and nursing students. In addition, he routinely provides continuing education for practicing pharmacists, pharmacy technicians, advanced practice nurses, and rehab staff. He often leads sessions for Pee Dee AHEC’s APRN Monthly Meeting series. Dr. Jones frequently lectures at the APRN Monthly Meetings conducted through the South Carolina AHEC SCHOOLS videoconferencing system. Many of his programs are also archived as SCHOOLS on-demand video programs. To see Dr. Jones in action and to register for these programs, go to www.scahec.net/schools. 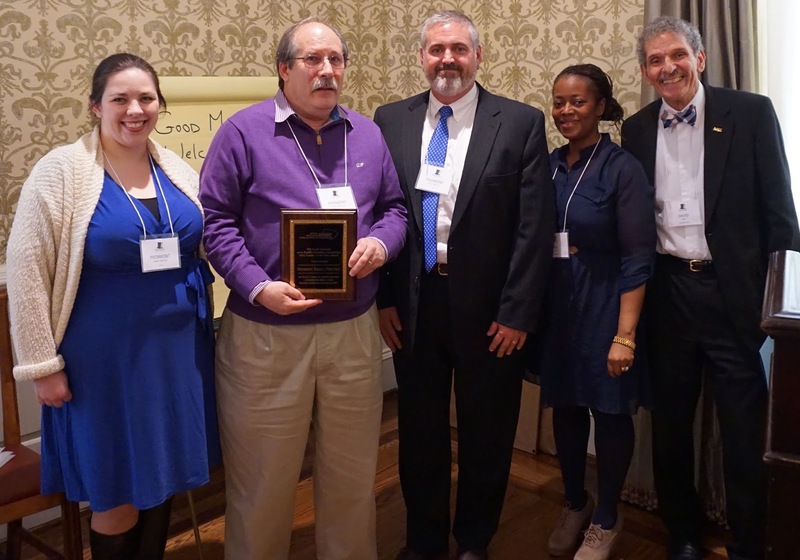 The Practice of the Year Award recognizes practices and training sites that exhibit exemplary dedication to the teaching of health professions students and a commitment to serving their communities. The South Carolina AHEC recognizes Piedmont Family Practice as the South Carolina AHEC 2016 Practice of the Year. Piedmont Family Practice, with locations in Anderson and Greenville counties, is a National Committee for Quality Assurance (NCQA) recognized Level III Patient Centered Medical Home. The practice provides quality comprehensive care with exceptional service to their patients. All of the providers are recognized by the NCQA for providing excellent care for both diabetes and heart disease/stroke prevention. In addition to being board certified in family medicine, several of the physicians are also certified in geriatrics, allowing them to better serve a diverse community. Piedmont Family Practice serves as a superb example to students of rural medical care, inter-professional teamwork and community commitment. The practitioners have served as preceptors to students for MUSC and South Carolina AHEC for many years. Always willing to accept students, the practice provides preceptors for a number of disciplines including medicine, nursing, and physician assisting. During the past year, they have precepted 14 students from MUSC. Students often comment on the outstanding clinical experience and the welcoming, pleasant atmosphere at Piedmont Family Practice. The positive and non-intimidating environment allows students to have a greater, richer clinical experience. They receive one-on-one teaching from their preceptors, and everyone at the practice is eager and excited to host healthcare students. Though students are often reluctant to complete a rural clinical rotation, they leave Piedmont Family Practice with a wealth of knowledge and experiences, both clinical and personal. Upstate AHEC Health Professions Student Program coordinators emphasize that working with the physicians, mid-level providers, nurses and support staff at Piedmont Family Practice is an absolutely wonderful experience. They do not say “no” to a placement request from AHEC. Piedmont Family Practice is always more than willing to take a student (or two) and are flexible with the placement request needs. They have even been able to fulfill last minute placement requests without any hesitation. Their willingness is serve students is one of many examples of how Piedmont Family Practice has committed itself to student education. The providers and staff at Piedmont Family Practice go above and beyond in supporting the education of health professions students. They have made a commitment to student education and are doing an outstanding job of providing exceptional rural clinical experiences to our students. Mid-Carolina AHEC recently hosted the first in a series of quarterly events featuring Dr. Keith Shealy of Mackey Family Practice in Lancaster. As the first privately-owned practice in South Carolina to receive Patient Centered Medical Home (PCMH) Certification, Dr. Shealy is in a unique position to offer insight on the establishment, maintenance and benefits of the PCMH model. Mid-Carolina AHEC invited local students and preceptors to attend and gain valuable knowledge on how implementing PCMH measures can provide substantial returns on investment. These returns include increased patient and office staff satisfaction, improved health outcomes and a more efficient operation. Dr. Shealy covered several steps that Mackey Family Practice has incorporated into its workflow to improve patient experience, including physical rearrangement of the workplace. Reducing process steps required for employees and patients on a given visit makes for a less tiring workday for staff and a more pleasant experience for patients. Close attention is paid to patient requirements for each visit so more can be accomplished accurately and with less follow up. Dr. Shealy also addressed the steps toward PCMH certification for a practice, including the off-site evaluation component. The second engagement in the series with Dr. Shealy is scheduled for Tuesday, June 22 at Mid-Carolina AHEC. Please join us for the opportunity to hear from someone with lots of practical experience in the application of the patient centered medical home model we’ve heard so much about! To find out more and to RSVP, please contact Mid-Carolina AHEC HPS Coordinator Jeff Cauthen at jcauthen@comporium.net. Sandy Nichols joined Upstate AHEC this spring as Financial and Human Resources Manager and brings her extensive accounting background to the AHEC team. She earned her bachelor’s degree in accounting from Bob Jones University and worked as a staff accountant at Bob Jones for 17 years. She holds over 30 years of bookkeeping and accounting experience and practiced business capability. Sandy and her husband Duane are active members in their church’s music ministry and have two married children, both of whom live in the Upstate. She welcomed her first grandchild into the family in October of 2014. Her deep knowledge of bookkeeping and many years of financial experience make her a valuable asset to the Upstate AHEC team and the South Carolina AHEC System. 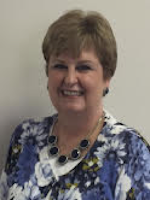 Please help us welcome her to AHEC at snichols@upstateahec.org. Lowcountry AHEC will be offering Acquired Brain Injury: A Clinical Picture and Rehabilitation Strategies on June 30 at Bon Secours St. Francis Hospital in Charleston. This multi-disciplinary program will discuss the challenges faced when working with patients with traumatic brain injury in a rehabilitative setting. Participants will review the pathophysiology of traumatic brain injury, as well as explore common symptomologies that challenge caregivers and healthcare professionals working with survivors of traumatic brain injury. The program will discuss issues related to specific populations, such as sports injuries, adolescents, and the elderly, as well as the social, ethical and legal challenges faced when working with this patient population. Physical therapy, occupational therapy, and speech therapy credits are pending. 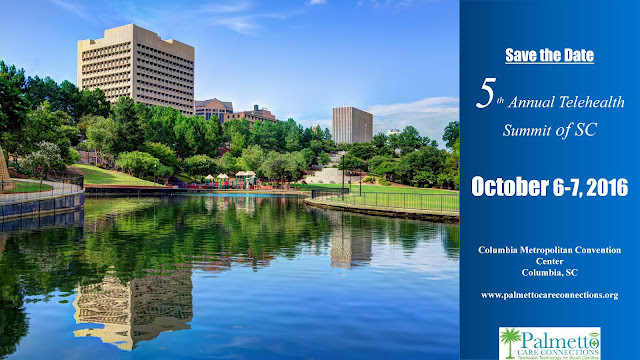 Nursing and South Carolina AHEC Best Practice credits apply. Limited seating is available, please go to www.lcahec.com to register. Mid-Carolina AHEC would like to extend a heartfelt thank you to Murdock Orthodontics for their donation to the Health Careers Program this past winter. Murdock Orthodontics is committed and passionate about supporting local charities within its communities. Both of the Murdock brothers participated in a similar program in high school and look at them today. They now have the opportunity to be role models to students and support healthcare leaders of tomorrow. To learn more about Murdock Orthodontics and their community outreach programs, go to www.murdockortho.com. Thank you for your support!